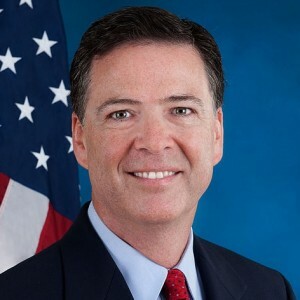 “I do believe our work disrupted efforts to kill people, likely in connection with July 4,” James Comey stated as he spoke at the J. Edgar Hoover Building in Washington. While he declined to provide details regarding thwarted plots, Comey did divulge that there have over a dozen arrests in the past four weeks. Comey said that while he doesn’t believe that the plots were directed by ISIS, they were egged on by the group, which has allegedly been attempting to recruit Americans to carry out acts on violence. He noted that ISIS has a large social media following—approximately 21,000 English speaking followers, with many being U.S. residents. “What we’re seeing now is living proof that social media works. It’s the reason that Twitter is worth billions of dollars. It’s an extraordinarily effective way to sell shoes, or vacation, or terrorism,” Comey said. He also stated that pinpointing those considering terror plots can be a challenge, because ISIS sometimes encourages those it communicates with to “go dark” by switching to encrypted messaging. But Comey also noted that once a threat is suspected, officials must work fast and not take any chances. As previously reported, Comey remarked earlier this year that he believes ISIS sympathizers are present nationwide. Comey explained that Islamic terror groups believe that they are carrying out their acts as part of the end times.